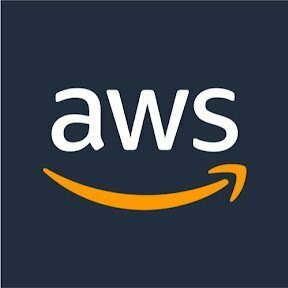 Work for AWS Identity and Access Management (IAM)? I like the level of control this gives me to my products in AWS. Giving me control to be as secure or open as I like. One of the best services out there and the fact you set it all up yourself means you know you are secure. Unlike other providers you just have to trust. they have great guides and support to help you and advice on the best configurations. Can be repetitive to setup for each product but worth it as you know it is done correctly. I would not change this as I think it work great and once you learn the first time it take no time at all to set up multiple times. "Robust service for managing cloud application access"
- Automatic Threat Detection / Access is not built in to IAM. You need to setup your own monitoring using other AWS services to look for access anomalies. If this was built into the service, it would make it a very appealing full stack Identity service. Set granular permission groups. From a security and access perspective, the more control you have over users/applications that have access to critical data, the less likelihood of a breach. We have several web applications and infrastructure on AWS. We use IAM to control application access to our databases and other services. We also use IAM to manage individual user access to our systems. We use various role and groups to isolate permissions and practice the principle of least privileged access. I love the fine grain control of access. It makes my admin workflow very simple. It's a really simple feature, but when setting up an account, I love the check list on the home page of IAM that shows you some security best practices, like removing root. I really can't think of anything I dislike about IAM. Sometimes I feel like I end up having to set up the same thing again and again when I'm creating a new account, but anytime I've had to do that I can automate it easily. I really wouldn't want AWS to change the set up process because I think it would make people create holes that shouldn't exist. There is no reason (and frankly no way) not to do it. Its a simple tool that you can easily leverage to make your life easier. Very specific access in a brain dead simple way. Let the people who need to access something access only that thing. If you don't know you need it, you don't have access. Best sort of security. "AWS IAM - heart of AWS security"
AWS Identity and Access Managemen (IAM) is a user and access control service. It'a allows you to create new users, add permissions, manage access keys and many more. You can create groups of users for easy access management. Permissions are granted using policies (document that defines allowed actions). What's really cool is that policie can be attach not only to users but to EC2 instances as well so your application can run certain actions without credentials saved on local drives. AWS provides a lot of preconfigured policies that can be use as a templates. IAM can integrate smoothly with Active Directory and almost all AWS services. It's actually good as it is. I could imagine more friendly GUI for policies generator. It could allows you to chose individual services and fill ARN dynamically. Searching for ARN can be a challenge sometimes. Can't use AWS without it. IAM is the heart of AWS security. Main and most important thing is that you can grant privileges on granularity level of API call for certain object in certain region and availability zone . You can control all your users and their privileges from one place.Other great features are: two factor authentication, Active Directory integration, great web interface to manage policies, roles and group and useful predefined policies. Last but not least is feature called "IAM Roles for Amazon EC2" which allow you to assign role to EC2 instance without keeping credentials on it. Sometimes it's hard to find needed permissions for certain task or for AWS own managed services but there's a lot of great documentation and examples on AWS developer forums so with some patience and effort you can always find what you'r looking for. Policy generator could be better organised. It's integral part of AWS Services - you have to use it. User, permission and key management for AWS environment. "Complete access control over your AWS permissions"
I like the ability to assume roles, grant temporary access keys, and the ability to grant or deny access at fine-grained and customizable levels. There seems to still be some discontinuity in permissions (really talking CloudFormation) for various cloud resources. Some you need to specify names of resources, other complete ARNs, while others don't let you specify specific resources at all. We've configured ourselves with temporary access keys for all employees, granted after 2-factor authentication, to minimize risk of stolen keys. Other apps and services assume roles with fine-grained permissions so that any intruders to such machines would have minimal rights to do harm or negligent behavior. The basic functionalities are there. It's what you need to use in order to access the other AWS goodies. CLI support is pretty good. It's easy to setup really advanced and specific policies, giving your users only the access they need. Powerful administration tools and fine-grained tools. The UI could use some improvement. It's often hard to find things. Policies are powerful but unnecessarily complicated - the same could be accomplished with a UI, leaving less room for mistakes. Set up finely grained permissions, pay extra attentions to your policies. Managing accounts and permissions, accessing your aws account. "AWS IAM for access control"
The ability to put policies that limit a wide range of access to the AWS console. It allows us to grant people access to view, but only a single account can make changes. Currently, i am very happy with the product and don't have any negative feedback. Definitely try it. You can get great support from AWS on how to structure your policies for IAM users. We solved the problem of too many people having access to make changes to the systems. We have realized the benefit of read only access for most people. "IAM covers all AWS security thoroughly and logically"
If you're inside of an AWS account you absolutely have to set up IAM or you're just wasting an opportunity for maintaining good security. Controlling permissions inside of our AWS accounts both to prevent outside access and to control internal access to follow a least privilege model. The level of granularity you can get on "MOST" resources is absolutely fantastic from a security standpoint. Sometimes it's hard to troubleshoot what is blocking or not blocking what you think it should be. Providing least privileged access to all users who enter our AWS environment. "Core Service for all things AWS"
The integration with all existing services to allow/deny access to all other resources is fanastic. Because all the IAM policies built the same once you learn the service you can use it everywhere. With the introduction of newer features like the boundary policies it seems that organizational features weren't fully thought out. They should allow multiple boundary policies to be applied. One for the organizational level and one for the account. Considering using boundary policies to control what level of access users in the account to handle. In environments with potentially 100's of accounts this is paramount. However, organizations that only have a handful of accounts would still benefit from this feature. It simplifies AWS account management for users with roles and policies. It helps us across multiple AWS accounts giving RABC accesses. Helps in EC2 instances having secured access to other AWS services using EC2 roles. What I find most useful is enablement with Multifactor Autentication. There is nothing much to dislike with this service but could be said more of enhancements. I would like to have more feature rich services while intergarting it with Directory services outside of Microsoft Active Directory. More enhanced integration with existing Active Directory role based access controls. It is a must use if using AWS. It has greatly helped us in limiting our accesses on AWS services. "Easy to configure, but badly documented"
The documentation is hard to find. I would be great if there was a more readly avaialable list of actions and resources you could use for easch statement. Many times I find myself trying to figure out what action requires what resources to fix warnings in the console. Game microservices. Straightforward code to infrastructure. I really like how granular you can get with the permissions within AWS for each user. The ability to limit users to very specific tasks helps greatly with security. The granularity of the IAM permissions can be daunting and requires quite a bit of research to ensure that you are assigning the correct permissions to users. IAM provides a centralized location to manage users for all AWS services. AWS IAM touches everything we use in AWS. The fined tuned control is essential for us. Seeing an overview of all the security configurations in my experience is difficult. There are 3rd parties out there that can do a good job, but it would be nice to have a better overview dashboard. We cross-cut multiple corporate organizational accounts and need to control access to a manifold of resources. "IAM is useful and easy to use"
"Good service offered by AWS"
The different levels that we can define be it the roles, users and policies. Every department can have its own roles/policies which is great. Everything seems good till now, no drawbacks. We are setting up different types of roles for different departments/business groups in our company. "Critical for any scalable use of AWS"
IAM gives you incredible control over AAA in AWS. It is very difficult to figure out how to use it, particularly for policy assignment and cross-account access, and the documentation is not particularly intuitive. Read the documentation and have a test account to play with. And plenty of patience. We are doing federated access with Active Directory, as well as managing users across multiple AWS accounts. This has allowed us to accomplish both of these objectives, including SSO, without having to create and manage users in each of the accounts. "Seemlessly give access to services to resources"
"Great controls, though a little confusing at first. " Extremely fine-grained controls to handle access at every level imagineable. Right now a user can not add MFA without having access to IAM. This requires an admin to handle this in-person (or over a video call). Also physical access tokens are brand new to IAM and not fully implemented yet. Controlling permissions for users and infrastructure. I like the ability to control access with fine grain ablities. This service allows a large range of ways to control access. New features are getting better and beter like service control policies and tag permissions! reuqires a learning curve to undeerstand how p[olicies work. "So many roles, so little time. " The granularity is awesome from a secuirty perspective. Also the ability to assume roles into another account will allow for scalability once it's setup correctly. Our environment was not setup to best practices, or at least we didn't know best practices at the time of setup. Scalibility and speed of access for onboarded techs. The fact that it's easy to give and get access to the the necessary people simply and completely without the burden of on-prem systems It's easy and complete. It has the best way of telling you that you are doing it right. The fact that the integrations to curent Azure AD creates challenges around the "How". We don't have a lot of users with experience and the learning curve, though not difficult, does play a factor in success. Ability to scale up new contractors and partners quickly with access managed intelligently. "easy to understand and clean service"
A very clean and straightforward service for account management. I can quickly make a limited to very limited access account for a developer or someone totally new and unaware for a quick QA run or any other check/test they may want to run. Could have more explanation on steps while creating new roles and accounts, rest all is fine. Maybe bring in the new console for this service instead of S3. use it to the most! "Super granular, could use better auditing tools." I like how granular the permissions policies are -- typically if we want to restrict or allow access to an API or service in a specific way, we can figure it out with IAM policies. We've struggled to find good processes to audit usage of each permission statement. There are some tools to help with this, but they;re very broad and per-service instead of per-permission. We use IAM to grant engineer access to AWS services. We've used it to use the "least needed" permissions strategy. "Great management of users and groups"
Ability to manage users and groups within AWS. Testing to make sure credentials are good to go, but once you have set them, it is very ease to manage. Must have and used to for AWS services implementation. Group and user access management is better managed. "Great auth service for AWS services"
Integrates well with many SAML based auth and allows cross integration to other AWS services from SAML. Can be a monster to setup properly, principally when implementing a landing zone across multiple accounts. It is not clear what is the guidance from AWS on same things related to landing zone. Would love to see this fully integrated into lambda access to RDS using IAM roles only. It resolves many of IT compliance and security problems which empowers business to operate faster. Gives you total control of your AWS services and permissions. Extremely useful for a startup or large company that has a fluctuation of employees because it allows you to quickly give certain permissions to certain users. Can be conceptually complicated and often need to "code" policies. There can be an easier process. Sometimes you don't want to give your employees total access to every service, from a security perspective and an expertise perspective. IAM allows you to fix this problem. "One of the best IAMs ever used"
Easy to start, intuitive. Covers all manner of situations. Easy to show Security what's going on. Can get out of hand quickly with scaling if not done right from the start. For folks who are new to the Cloud, having to undo all that work can be frustrating. There's not much choice with regard to user management in AWS, so, you know, go hog wild. Presenting the Cloud to Audit/Security for sign-off has become much easier. "Great tool for managing multiple user accesses to different environments"
The interactive UI which allows the admin to control the privileges for employees based on their grade. Allows easy maintenance of the same across staging and production environments. nothing in particular. I like the intuitive way in which the UI is designed. It addresses the access issues for all employees in an organisation. We use it for assigning roles for employees, giving them access to staging environments based on their grade. The best parts are roles, federation, SSO capabilities. Its moving in the right direction, nothing to dislike about the service. Nothing at this moment. Its a great product with lot of features. With Federation and SSO capabilities, we are able to provide access to AWS services for our end users by leveraging their existing credentials. This also helps when someone leaves the organization, for pulling out their access. The ease of implementation and capability to support complex groups in geograhpically separated areas. I am able to centrally manage access through a common operating picture across all accounts. No dislikes at this time as IAM has anabled me to accomplish everything my organization needs. Least privilege and data access rights. Our organization handles a wide variety of sensitive but not compliance governed data. "Best security model for users and role managemnt"
I like the user management model along with roles . Better User experience to manage all this under one umbrella. so far nothing to dislike. so far everything i like. "One of the very essential AWS service"
I takes a little while to understand the service at the beginning. Spend your time as much as possible to understand the service and use it to secure the services. Role-based mechanisms for short-lived credentials. Doesn't always have condition keys that we would like. Centralized guardrails and compliance with our autonomous engineering teams. Controlling how individual services within an environment can talk to each-other to the level of granularity as you can with AWS IAM is incredible. Love everything about it. It ties to all of AWS's services and makes it easy to create highly secure applications. I built applications and environments for some of the larges corporations in the US. "IAM is essential for security management in AWS"
AWS IAM allows administrators to ise fine grain access controls to resources in their account. This means you can assign specific sets of resources to users / instances which gives you greater control. I disklike that Policy deiniftions in json. We use IAM to isolate access to resources, minimizing a blast radius in the event of any incidents. I like the ease with which I can administer the use of my AWS accounts by setting appropriate permissions. It is super intuitive and ensures that if set right that least privilege is followed. I do not dislike anything about this particular AWS service. Setting permissions, granting roles and managing groups on AWS accounts within the organizations. "Can’t think of AWS use without IAM"
"Why Iam works so well"
Iam is the leader among access management services. Roles, Users, Groups are a must for any account, and it is fast! We use IAM to ensure that tenants are only able to access things that they should have access to. "IAM is hard to use"
There is nothing I like about it . It's bad. Setup role and policy is not as easy as a click of a button. Setting up relationship access between services and databases is also not easy. It allows you to do so many things. it solves so many problems that our university had. cloud computing, cold storage, virtualization, etc. The many uses might seem overwhelming at first. cold storage, virtualization, and many many other uses. "Easy to control user access"
UI to create/manage to IAM policies. IAM policy editor helps to configure permissions quickly. Number of IAM policies that can be added to a role is limited to 10 at the moment. How easy it is to use. The versatiityl in options to log in securely. Would like a better way of testing the security assigned to a user. Restricting users to only certain services or products. Learning about AWS Identity and Access Management (IAM)? * We monitor all AWS Identity and Access Management (IAM) reviews to prevent fraudulent reviews and keep review quality high. We do not post reviews by company employees or direct competitors. Validated reviews require the user to submit a screenshot of the product containing their user ID, in order to verify a user is an actual user of the product. Hi there! Are you looking to implement a solution like AWS IAM?